National solar provider Energy Matters has been announced as one of the companies selected to install heavily subsidised smart battery storage in homes and businesses across Canberra. ACT Minister for the Environment and Climate Change Simon Corbell made the announcement on Thursday, following what was described as a rigorous auction process for the latest round of the Next Generation Energy Storage Grants program. “The grants package will support more than 2MW of solar-integrated storage across more than 600 Canberra homes and businesses,” Mr Corbell said. Generally speaking, the subsidy will reduce the cost of acquiring energy storage by thousands of dollars. In cases where solar is also installed, the battery subsidy is in addition to existing solar subsidies. Battery systems enable households and businesses to make the most of their valuable solar electricity; storing surplus energy during the day for use in the evenings and mornings or when conditions are unfavourable. Minister Corbell said smart batteries can also provide extra services to the grid and additional income streams to system owners. As with installing solar, the addition of battery storage promotes energy production and consumption awareness, plus play a role in creating a smart home. “Feedback from participants is that, in addition to reducing their energy bills, they are getting access to more information about their energy usage patterns which is leading to further energy savings actions in their homes,” said Minister Corbell; who also stated battery storage is an important complementary technology for the Government’s target of 100% renewable energy by 2020. The ACT rollout has another very important purpose – to inform critical research and development in how Australia’s electricity grid can transition to a very high penetrations of renewable energy. Energy Matters’ range of leading next-generation home energy storage solutions has grown during 2016. The company now offers battery systems from Tesla (Powerwall), Sonnen (sonnenBatterie Eco), Enphase (AC Battery) and Fronius (Solar Battery). The multi-award winning company has been installing energy storage across Australia throughout most of its 10-year history. For the ACT program, Energy Matters will work with local installation partner Captain Kilowatt and battery storage specialist Geli to install Tesla Powerwall batteries that leverage the Geli Internet of Energy platform. While there will be future rounds of the ACT initiative, the amount of support per kW is expected to reduce over time. 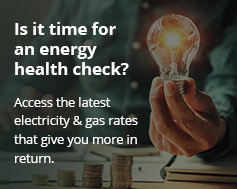 Canberra households and businesses interested in installing a heavily subsidised Tesla Powerwall battery either as a retrofit or as part of a new solar + storage system can contact Energy Matters on 133 SUN for further details.